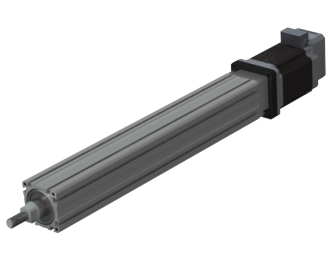 The CSR-17 line of rod style lead screw actuators are high force, space efficient, linear motion solutions for use in plastic injection, automated fixtures, consumer electronics assembly and other automated OEM devices. 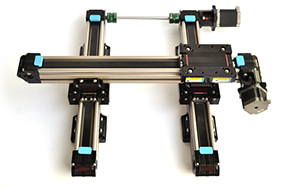 Coupled with a CM1 controller, the CSR-17 is a programmable, networkable, motion system. 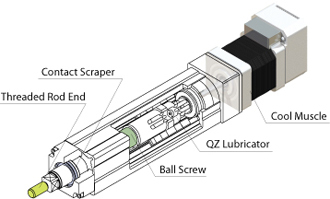 Actuator Brochure Specs and dimensions for most of our actuators. 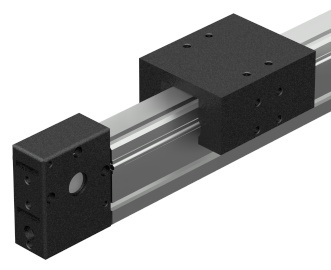 The CSR-23 line of rod style lead screw actuators are high force, space efficient, linear motion solutions for use in plastic injection, automated fixtures, consumer electronics assembly and other automated OEM devices. Coupled with a CM1 controller, the CSR-23 is a programmable networkable, motion system that offers a higher force than the CSR-17. Part of Tamagawa's TBL-V series of motors. 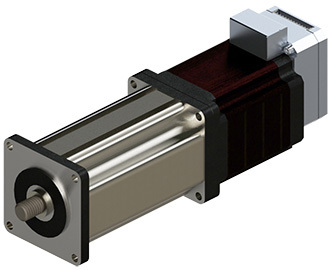 The PA20 series ball screw actuator comes with a precision screw in pitches of 1mm and 6mm, with strokes up to 141mm. 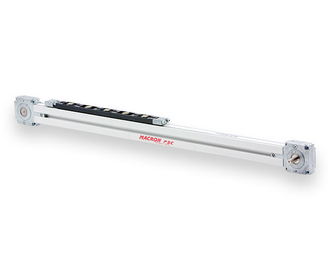 The dual bearing tracks result in a very strong carriage assembly handling greater moment loads. 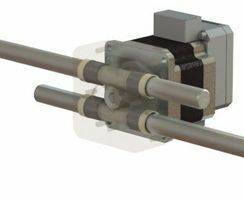 The SPA20 series caged ball screw actuator comes with a precision screw in pitches of 1mm and 6mm, with strokes up to 140mm. The SPA series is a modification of the PA series offering a caged ball track which reduces dust output, noise, wear on the system and sports an overall greater life span than the PA series. 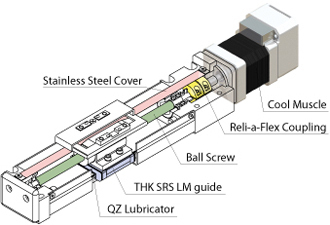 The SPA26 series caged ball screw actuator comes with a precision screw in pitches of 2mm and 6mm, with strokes up to 218mm. The SPA series is a modification of the PA series offering a caged ball track which reduces dust output, noise, wear on the system and sports an overall greater life span than the PA series. 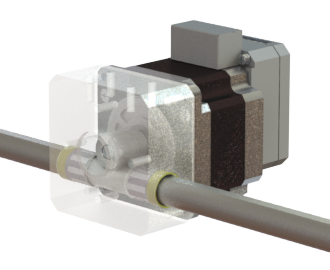 The SPA33 series caged ball screw actuator comes with a precision screw in pitches of 6mm, 10mm & 20mm with strokes up to 605mm. 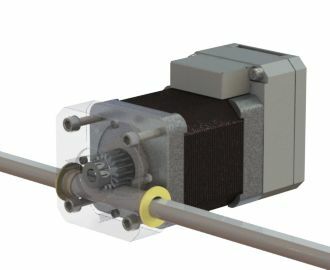 The SPA series is a modification of the PA series offering a caged ball track which reduces dust output, noise, wear on the system and sports an overall greater life span than the PA series. 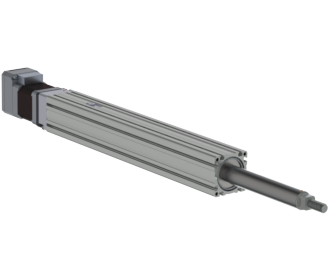 The RRAK17 Rack and Pinion Actuator is designed for heavier loads than its RRA17 counterpart. 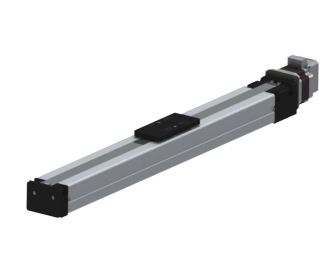 Myostat's M Series belt drive actuators are avaiable in a variety of sizes and lengths, handling loads up to 35KG, with a positioning repeatability of 0.05mm. 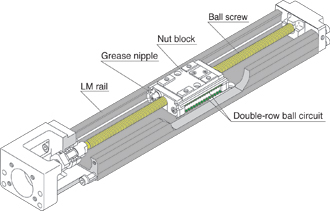 The carriage employs a self-cleaning wheel and steel rod guidance system, resulting in long running life and smooth, quiet motion. 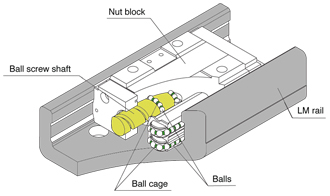 75mm or 95mm pitch pulleys drive a steel reinforced belt capable of up to 350N for force, with speeds up to 4m/s. Specifications can be found here. Contact us to pick the right solution for you new project. 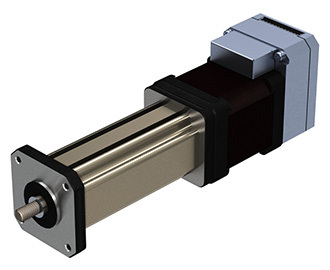 Every actuator we provide is available with an optional Cool Muscle integrated servo motor complete with all the features and benefits of an integrated servo system. 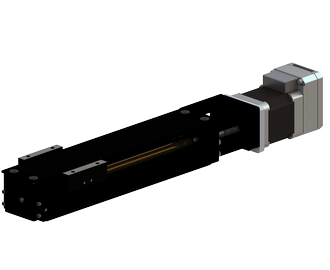 Myostat provides a truly modern robotic sub assembly. 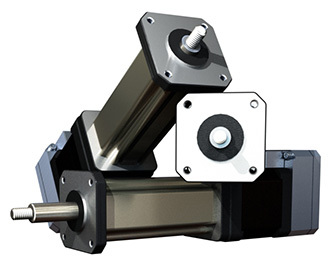 The RD, RL and RRA line of actuators are lubrication and maintenance free systems, designed for long life with a minimal amount of maintenance. 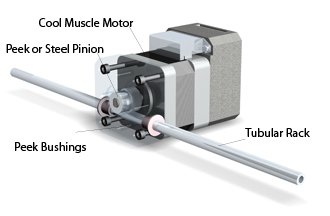 Modern technologies and polymer composites, such as Peek, are used for bearing and gear surfaces and are backed by rigorous testing and established life cycles. 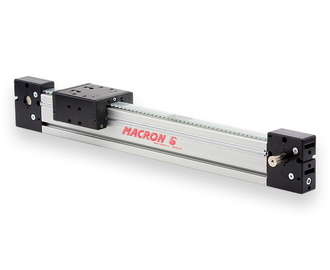 Myostat offers a full range of linear systems. 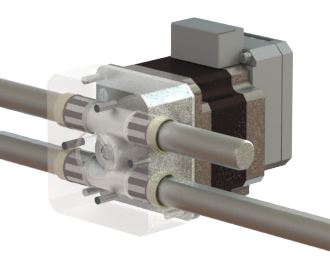 From microscope actuators with 5mm of stroke to belt drive systems capable of 5m of stroke. 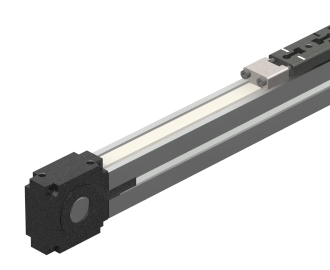 Myostat has a full range of actuators sure to suit your application, including Lead Screw, Ball Screw, Rack and Pinion and Belt Driven actuators. 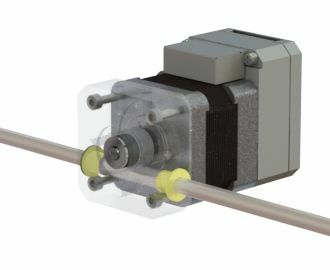 Both Rod Style and Rodless are available. 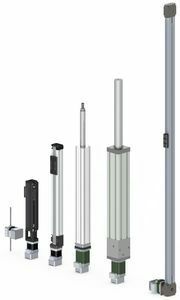 With a full range of actuators to suit your application Myostat has the solution that fits. 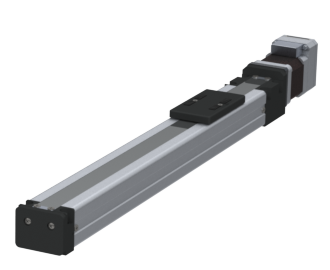 Myostat now offers two, three, and four axis gantry systems based on belt drive actuators. Adaptable to a wide range of applications, gantry style automation is an inexpensive, quiet and reliable solution for pick and place, sorting, loading/unloading, and packaging related applications. Offered with intergrated or traditional servo options along with motion programming and a variety of touch panel options, Myostat can provide a complete system, ready to work for you. 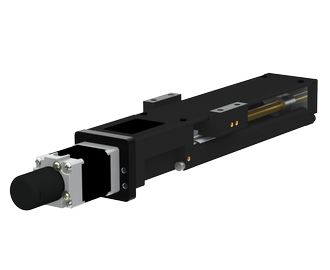 Myostat Motion Control now offers the RRAD23 Dual Rack Actuator. 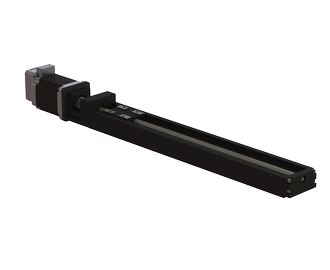 The RRAD23 Dual Rack Actuator offers reciprocating racks up to 500mm long in a space efficient design. 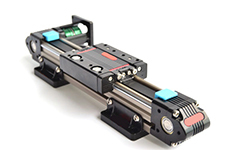 Available with stepper motors, servo motors, or the Cool Muscle integrated servo motor, the RRAD23 can be used in gripper assemblies, lane diverters, label applications, and other applications requiring quick motion. 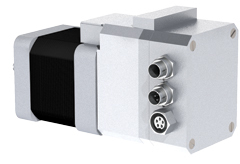 The RRAD23-12-250-23L20 has Serial, CanOPEN, and Ethernet/IP interfaces for flexible inclusion into your next machine. 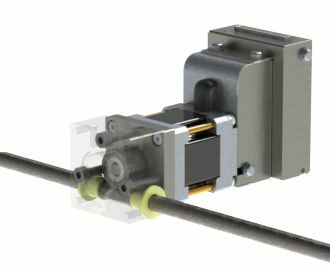 Contact Myostat Motion Control for more information on this new mechatronic assembly.